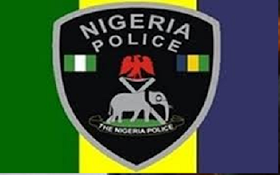 The Irinyemi family in the Epe area of Lagos State has filed a N500m suit against the Inspector-General of Police, Ibrahim Idris, for the alleged extrajudicial killing of a family member, Oyetomi, in a cell of the Special Anti-Robbery Squad in Ikeja, Lagos. Also joined in the suit filed at the Federal High Court in Lagos is the Lagos State Commissioner of Police, Fatai Owoseni. Dairo, a cousin to the deceased, who filed the suit on behalf of the family, said Oyetomi was arrested at home in Epe on January 15, 2017 by policemen, who claimed to be searching for some suspected kidnappers in the area. The younger brother of the deceased, Damilola, who deposed to an affidavit in support of the N500m suit, averred that despite informing policemen at SARS office that the deceased had a terminal heart disease and that they should not maltreat him, the operatives turned a deaf ear. “All the medical reports showing the various tests conducted on him to show that he truly had a terminal disease were shown to the respondents to prove that he was not a kidnapper as alleged, all to no avail. “My brother (Oyetomi Irinyemi) who, as a result of his ill health could not withstand the severe torture, eventually died in the respondents’ custody towards the end of January 2017,” Damilola stated. The family’s lawyer, Mr. Adebowale Bayo-Philip, is seeking a court order directing the police to immediately release Oyetomi’s corpse to them and for the police to pay N500m as damages for unlawfully torturing Oyetomi to death. The lawyer also wants the court to order the immediate release of one Ikuomola Adeyemi, who was arrested by the police alongside Oyetomi.